Charleston Lake Ontario, the jewel of eastern ontario in the center of and so close and convenient to so many areas. The 1000 Islands, Brockville, Kingston, 1.5 hrs from Ottawa, 3 hours from Toronto, 30 minutes from the US border at the Ivy Lee International Bridge. An absolutely gorgeous, deep and clean lake this lake is sure to be enjoyed by your family so much you will want to come back again and again. 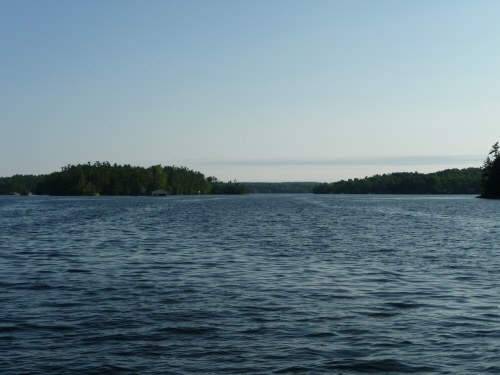 One of the best fishing lakes in Eastern Ontario with excellent fishing for lake trout, bass (both large and small mouth), pike and numerous pan fish to keep the action going. Charleston Lake is about nine miles long and four miles wide with numerous islands and bays to keep you exploring for days on end. 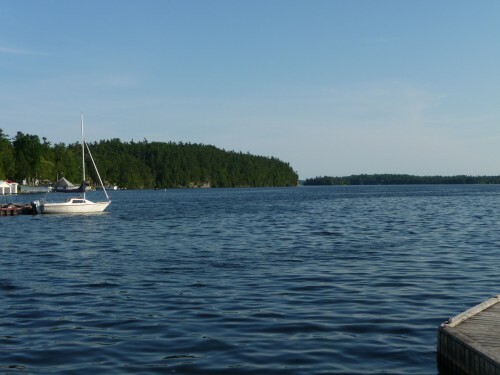 An ideal location for day trips to the numerous towns and villages in the area as well as visiting the 1000 Islands or even the Charity Casino in Gananoque. There are hundreds of cottages on the shorelines and islands of the lake, each with its own appeal. Cottages for sale and on Charleston usually range in value form $250,000 for a very basic starter cottage to over a million dollars. Typical prices are in the $300,000 to $500,000 range. Fishing in Charleston Lake Outstanding Lake trout fishing draws numerous fisherman and families to Charleston Lake. Hold in deep areas, during the summer fishing season numerous boats can be seen slowly trolling for the lunkers. Shallower water offers excellent large mouth bass fishing, especially in late spring and early summer. 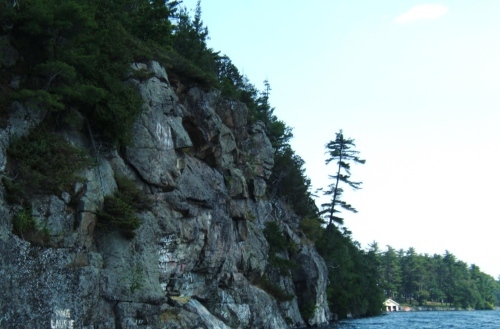 Smallmouth bass on the lake's rocky points, shoals and drop-offs, while largemouths inhabit its weedy bays and the backwater bays. Northern pike are throughout the Lake and can be caught around weedy and rocky cover. Crappie and bluegill are abundant; crappie move shallow in spring, while bluegill can be caught from shore throughout the warmer months. Charleston Lake Ontario Provincial Park The southern half of Charleston Lake is surrounded by Charleston Lake Ontario Provincial Park. You can fish along the lake shore in the park, or launch a boat at the boat launch facilities. Hiking, swimming, and canoeing are also available at the park, which offers electric and non-electric campsites, showers and flush toilets, laundry facilities and kayak or canoe rentals. There are hundreds of cottages on the shorelines and islands of the lake, each with its own appeal. Charleston Lake Cottages for sale range in value from a low of $250,000 to over a million dollars.